Housing costs got you down? Though apartment hunting can be frustrating, there are deals to be had. So what does the low-end rent on a rental in Oakland look like these days--and what might you get for your money? We took a look at local listings for studios and one-bedroom apartments in Oakland via rental site Zumper to find out what price-conscious apartment seekers can expect to find. Listed at $1,495/month, this one-bedroom, one-bathroom is located at 2328 Seminary Ave. in Seminary. When it comes to building amenities, expect on-site laundry, secured entry and assigned parking. In the unit, expect to find carpeted floors, a balcony, closet space and granite countertops. Cats and dogs are not allowed. Walk Score indicates that the surrounding area is friendly for those on foot, has some bike infrastructure and offers many nearby public transportation options. This studio, situated at 1967 Seminary Ave. in Seminary, is listed for $1,500/month. In the apartment, the listing promises tile flooring, closet space, large windows and ample cabinet space. Assigned parking and on-site management are offered as building amenities. Cats and dogs are not welcome. Per Walk Score ratings, this location is very walkable, is relatively bikeable and has good transit options. And here's a one-bedroom, one-bathroom at 2250 96th Ave. in Castlemont, which is also going for $1,500/month. The building features assigned parking. Apartment amenities include carpeted floors, a stove, wooden cabinetry and large windows. Cats and dogs are not welcome here. According to Walk Score's assessment, this location is moderately walkable, has some bike infrastructure and offers many nearby public transportation options. 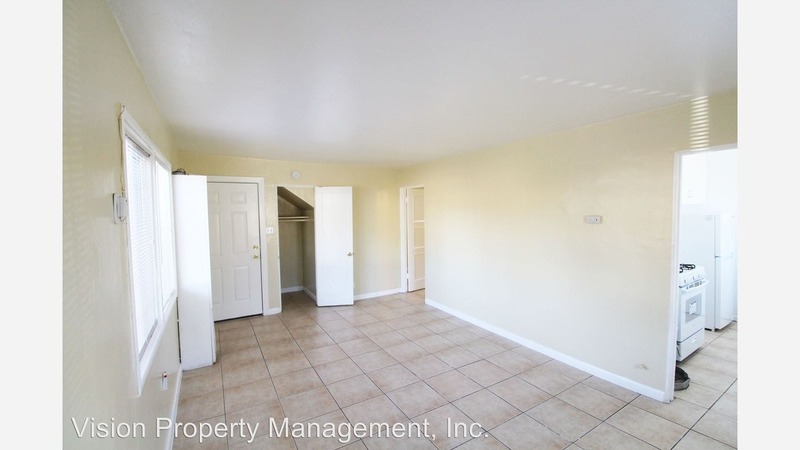 Listed at $1,625/month, this one-bedroom, one-bathroom is located at 5549 Foothill Blvd. in Seminary. In the unit, expect hardwood floors, a balcony, granite countertops, generous closet space, built-in shelves and ample natural light. Pets are not permitted. Walk Score indicates that this location is friendly for those on foot, is bikeable and has good transit options. Finally, there's this 450-square-foot one-bedroom, one-bathroom apartment at 1929 26th Ave. in Reservoir Hill / Meadow Brook. It's being listed for $1,649/month. The building features on-site laundry, concierge service and secured entry. In the unit, you can anticipate hardwood floors, a Samsung TV, a fireplace, a ceiling fan and stainless steel appliances. Cats and dogs are not permitted here. According to Walk Score's assessment, the area around this address is very walkable, is bikeable and offers many nearby public transportation options.